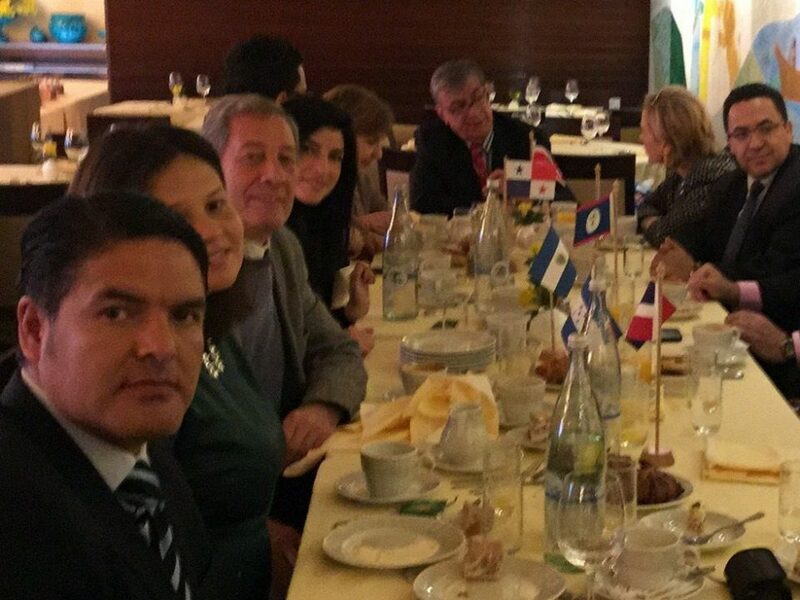 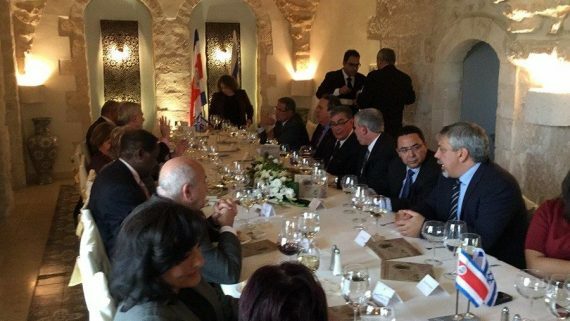 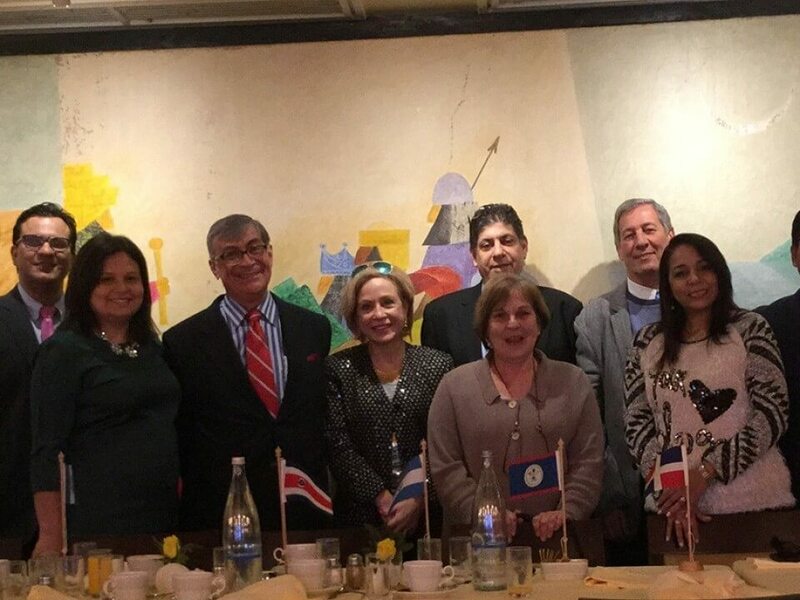 On January 13, 2015 Mr. Yoram Naor, Honorary Consul General of Belize in Israel, hosted a diplomatic meeting of all 7 SICA members in Israel. 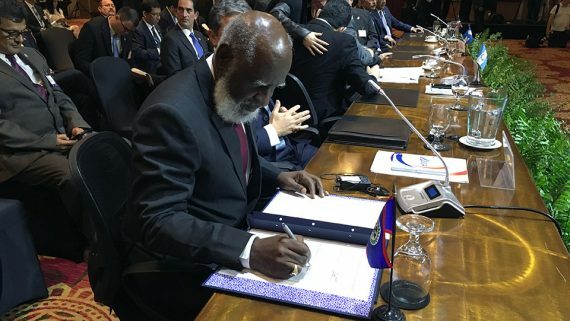 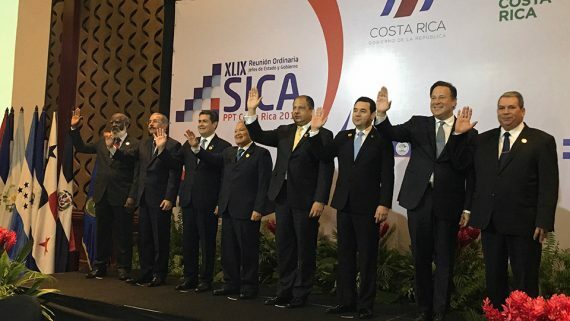 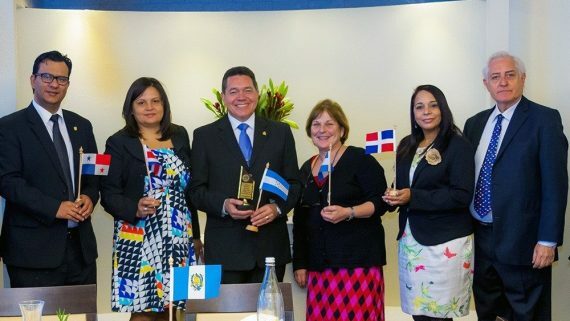 SICA is the Spanish acronym for Central American Integration System, and is the economic and political organization of Central American states promoting regional peace, political freedom, democracy and economic development. 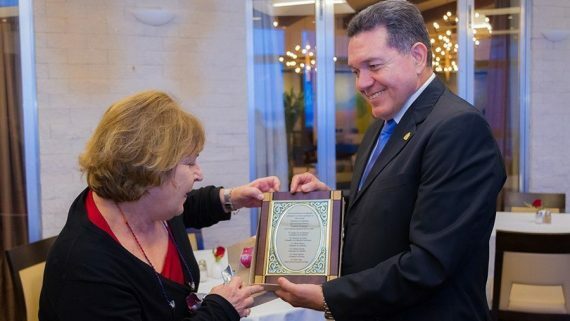 Mr. Yoram Naor, Honorary Consul General of Belize in Israel, is also president of SICA in Israel. 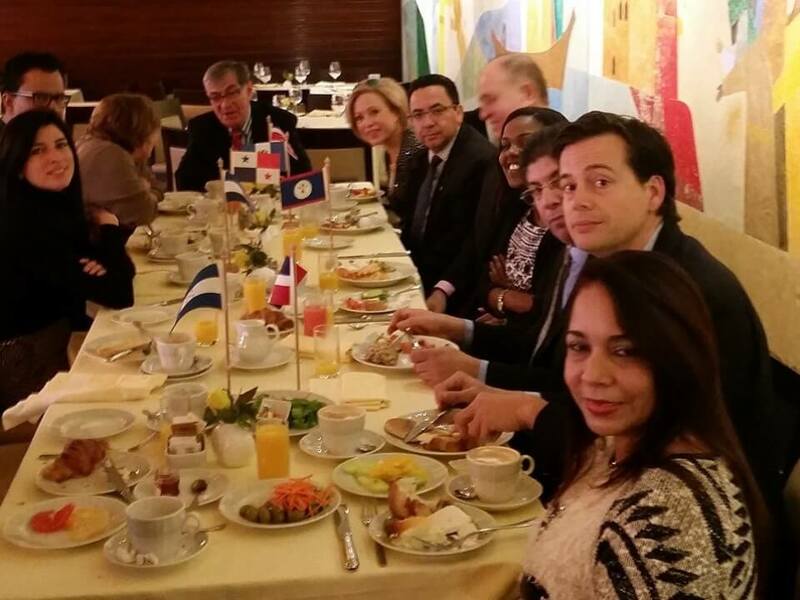 The diplomatic meeting was also a farewell to departing Ambassador of Costa Rica, Mr. Rodrigo X. Carreras, who served 4 years in Israel. 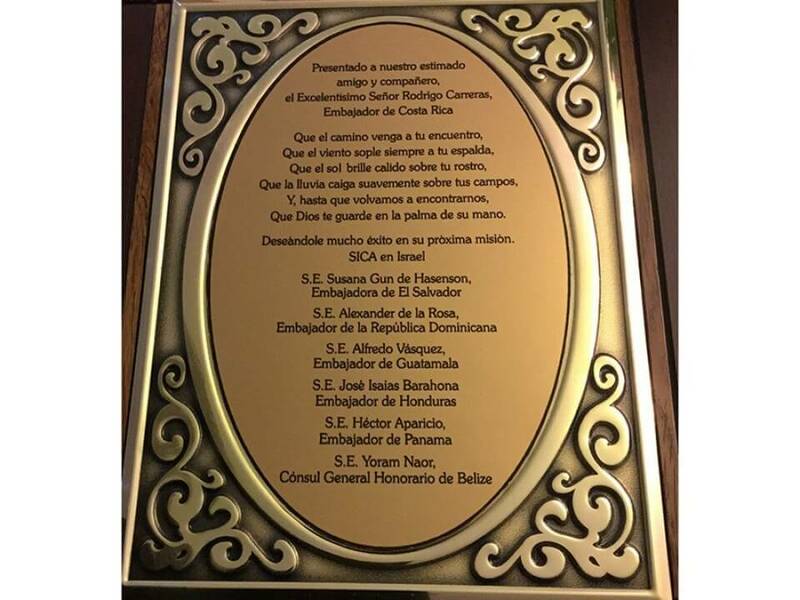 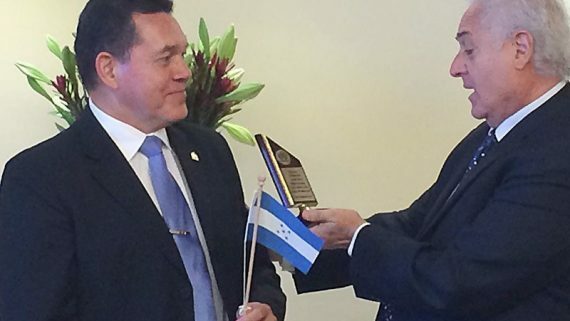 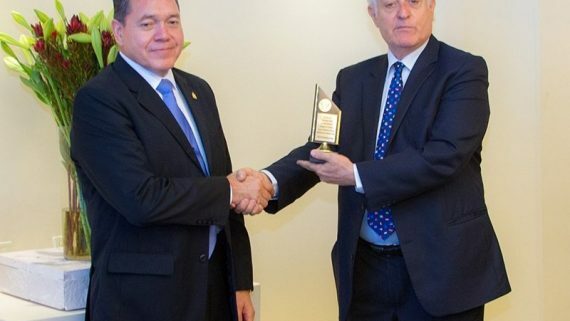 A present was given to Mr. Carreras by Mr. Naor, on behalf of the diplomats and ambassadors of all 7 SICA members in Israel: Honduras, El Salvador, Guatemala, Panama, Belize, Dominican Republic and Costa Rica.